Eva Walker is a seventeen-year-old math genius. And if that doesn't do wonders for her popularity, there's another thing that makes it even worse: when she touches people, she sees a vision of their emotions. 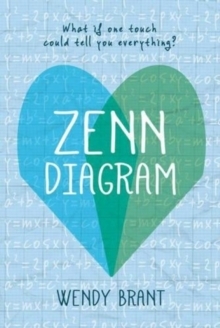 Then, Zenn walks into her life and she is instantly drawn to him, even more so, when she realises that he is the only one who is immune to her gift. When she discovers the history that links them though, the truth threatens to tear the two apart.